Faena, undoubtedly one of the hottest hotels in Miami today, gets a lot of press for its decor, restaurants, and owner who dresses head to toe in white. More people should be looking into the Tierra Santa spa. Located on the mezzanine level of the oceanside hotel, it has a gorgeous hammam and DIY all-marble wet spa water circuit, but also a new menu, that incorporates more healing treatments, developed for the spa by a (female) shaman. 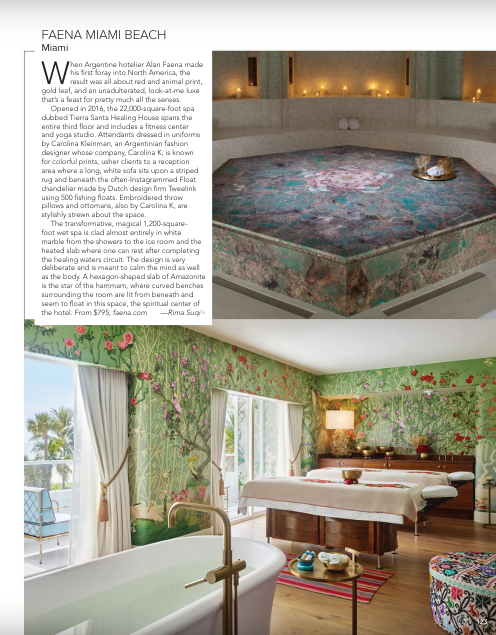 Read more at Luxury’s current issue, available online here.